The specifications tab and content will appear next to the main product description when a customer views the product details. This field is very customizable with media and other content and offers a good location to expand on complex products. The specifications tab will disappear from the product details page IF there is no content given in this section. 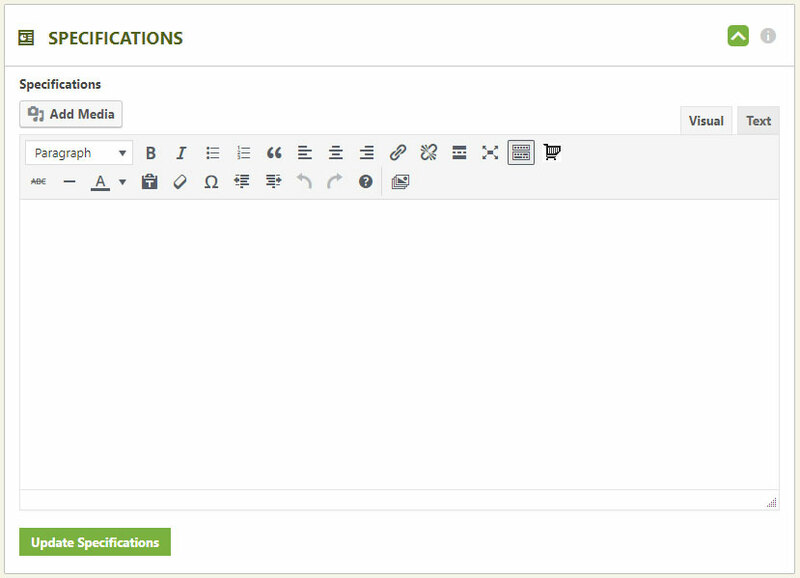 Some users customize this tab by utilizing our language editor and adjusting the phrase of the tab to something other than ‘specifications’. Click Here to learn more about our language editor. Note: We offer an extension that allows unlimited tabs for products. Premium users get all EasyCart extensions. To learn more about the premium edition, check out this page.